The Rice Terraces of Banaue are perhaps the most well-known attraction in the Philippines, and no list of the Seven Wonders of the Philippines would be complete without them. Located in central Luzon, they have been carved by local Ifugao people over the last 3,000 thousand years. When you visit, you can see terraces still being built today. The locals often describe the terraces as the largest man-made structure created without forced labor. If each terrace were laid end to end, they would stretch almost 14,000 miles. They were declared a UNESCO World Heritage site in 1995 and are one of 6 UNESCO World Heritage Sites in the Philippines. The Underground River on the island of Palawan is not only a UNESCO World Heritage site but was named as one of the Earth’s New7Wonders of Nature. 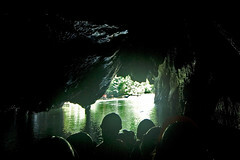 The Underground River is the longest subterranean river in the world, extending 8.2km underground. Over 2km is accessible to the public. The surrounding National Park includes many species including monitor lizards, the Blue-naped parrot and macaque monkeys. The park is located 50km north of the city of Puerto Princessa on the island of Palawan. Located in the middle of the Sulu Sea, Tubbataha Reef is one of the largest and best-preserved reef systems in the world. Actually composed to two atolls, Tubbataha is far removed from any human settlement, it is a 92-mile boat trip from the city of Puerto Princessa. The marine park covers over 968 km² and is home to over 300 coral species and 400 fish species, rivaling the diversity of the Great Barrier Reef. The few pieces of atoll which are above water are also home to a large number of seabirds. It was inscribed on the UNESCO list of World Heritage sites in 1993. 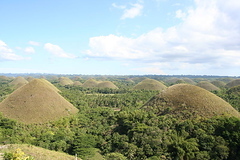 The Chocolate Hills are located on the Island of Bohol. They are over 1,200 hills, covering over 50 km² and get their name because the grass which covers the hills turns brown during the dry season. The hills are almost all conical in shape and made of limestone. Many people have believed that they were human creations. Geologists are not entirely sure how they were created. Theories include erosion of limestone, volcanic uplift, and accretion of limestone around basalt fragments from a volcanic eruption. The government of the Philippines has declared it one of their flagship tourist destinations. The Chocolate Hills are so central to the people of Bohol, they appear on the flag of the province. Taal volcano has a unique distinction in the world. It contains the largest island, inside of a lake, which is on an island, which is inside a lake, which is on an island. (got that?) Taal is a very active volcano which has killed over 5,000 people in recorded history. It has been named one of the 16-decade volcanoes in the world worthy of special study. Inside the Taal caldera is Lake Tall, which is a 25km across. The lake is known for its high sulfur content and is also home to many endemic species of freshwater fish. Taal is only 50km from the city of Manila. Mayon volcano is perhaps the most perfectly shaped conic volcano in the world. It has been called by some the “Filipino Mount Fuji”. Located in southeast Luzon, it is one of the most active volcanoes in the world. It has erupted close to 50 times since the year 1600, with the most recent eruption occurring in 2006. 77 people were killed in an eruption in 1993 and 75,000 people had to be evacuated from their homes during an eruption in 1984. 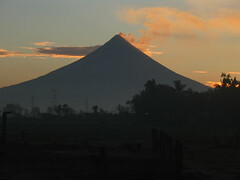 It rises 2462m over Legazpi City in the province of Albay. Boracay is a small island approximately 200 miles south of Manila and is very close to the major island of Panay. Its white sand beaches and direct flights from all over Asia have made it one of the Philippines most popular tourist destinations. 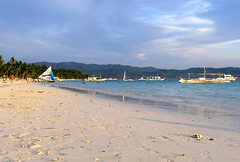 White Beach is the longest beach on Boracay and extends 4 km on the west side of the islands. Located on the northern tip of the island of Palawan, El Nido is known for its distinctive limestone islands and inlets. El Nido consistently scores high in surveys of top eco-tourist destinations in the world. Forbes magazine rated the wreck dives off the island of Coron as someone of the top 10 dive sites in the world. Archeological evidence of human habitation dating back 22,000 years has also been found in El Nido. The Province of Batanes is the northernmost, and smallest province in the Philippines. It is located almost halfway between is island of Luzon and Taiwan. The culture of the Ivatan people is unique in the Philippines. Crime in Batanes is almost unknown as many police officials have complained of nothing to do with zero crimes reported and no one in the jails. It may be surprising to some, but one of the largest malls in the world is in Manila. The SM Mall of Asia is the third largest mall in the world in terms of gross leasable area, surpassed only by two malls in China (neither of which is anywhere near capacity). The Mall of Asia consists of four separate buildings connected by open air walkways. It is 50% larger than the Mall of America and 10% larger than the West Edmonton Mall. It addition to the standard mall fare, it also is host to Olympic-sized ice skating rink. amazing blog with great work. Keep it up dear! Thanks for sharing famous places of Philippines. Great post you have Garry, I am amazed how amazing the Lord was to the Philippines by giving this such beautiful tourist spots. I would love to visit all of these places someday. Thank you for giving us this information. God Bless You! Hey Gary, Am about to make my first trip to Manila-Boracay. I am hoping to fit in Banaue whilst in Manila and was wondering if it is a completely ridiculous idea of taking the night bus, spending the day there and returning on the next night’s bus? Would appreciate any thoughts you may have as I know it’s been awhile since 2007.
wow! thank you for the information. my brother need this for his project. God bless you! A very very nice scenery,i am really love philippines! And proud to say i am pinay…. Nice Blog you got here! Please keep it up! I’m in a lookout for fellow travel bloggers! fantastic seven wonders of the philippines …..
and its more fun in the philippines…..
i love travel.. to the philippines..
i love world of philippines…. wow!! nice picture and nice place.. i proud to be a pilipino citizen.. mabuhay!! wow!! its a nice place that i have seen and i proud to be a citizen of this country.. I love to be pilipino. the places was so nices ..
im proud to be a pinay !!! Nothing in this world can compare to Philippines.. sobrang nakaka miss ang pinas kahit ilang linggo ka palang sa ibang bansa… Roadtrip, Hiking, Airsoft at gala with friends ang sobrang na miss ko..
kaya lagi nting alagaan ang ating mga kapaligiran..
the Philippines is one of the most underrated tourist destinations in the world!!! we have so much to offer. believe me! i think the most beautiful that I’ve ever seen is the sleeping lady in MSU-mindanao state university…. I’ve been a Filipino citizen for 21 years but never been to those places aside from Banaue and Taal. ..philippines is so great .. the filipina are beautiful and the people there is very friendly … GO.GO.GO! PHILIPPINES is the best spots …! being a filipino is worthy we are keep in the different tourist attraction,,,,,,,,,proud to be filipino,,,,,be one of usssssssss. kay ganda ng pinas……iba talaga ang pinas sana tayo manalo……. Ating pangalagaan ang ating kayamanan.!!! Philippines is truly awesome all things here is wonderfully made by God……………………………………………………………………………………… i am a proud Pinoy!!!!!!!!!!!!!!!!!!!!! the philippines….! im happy that i live in the philippines!!!!!!!!!!!! I’m from Bicol region. Mayon volcano is really the prime attraction here. Others are the CWC (Camarines Sur Watersports Compllex in Pili Capitol Grounds, Mt. Isarog, Lake Buhi, among others. White beaches also about in Bicol. Feel free to visit here! Thanks for some informative posts. i’m proud to be a filipino……..Philippines is amazing…. yeah it’s nice to be a citizen of this country. there is so many thing you can be proud of especially the attitudes of every filipino and it’s amazing spots. i wish i could travel around the philippines. talagang wow ang pilipinas the reason why i love philippines. im proud to be a filipina. i hope someday i will go there!!!!! 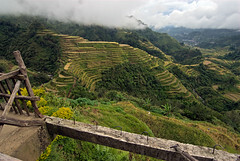 Banaue is truly a magnificent sight and the Philippines is a splendid place to visit. I was hoping El Nido would make it onto the list, but I’ll have to be content with an Honourable mention. Wish I’d had more time to explore this amazing country – I didn’t even get to se the Mall of Asia!! This article is making me salivate to get to the Philippines. Leaving in a month and can hardly wait. Thanks for stimulating my appetite! the Philippines is no doubt interesting and amazing for some. i have been to Philippines twice diversity of social disparity even in the major urban areas are shocking ,its high time for the newly elected president to put the act together lead the people to change their fate…people’s power for improvement of economy . ganda talaga ng mga places sa phils. thank you so much…….! 143…… for the information you had complied for me…………………..
thankz…..a lot for the info. you had given to me. i’ll really need this…. hi…its been a long time that i never seen phil.im here in pakistan 4 work…and im so sad bcoz im missing my home and family…talagang maganda sa pinas….goodluck and godbless……………………………………………………………… i love philipines…………………………………………………..
Lawless streets full of people with no discipline. madami mas magagandang places sa phils kaysa jan – still the same 7 wonders of the phils since i was in grade 2! The only problem is everyone in Philippines throws trashes everywhere :) lol. They think Philippines is a trash bin hahaha. But we Filipinos can fix that. im proud to be a Filipino!!! am really proud to be a Filipino coz I’m proud to go the different places such as this places! hi:) would you mind if you will tell me more about the seven wonders of the phil.? i have to do my research paper so. help me. tnx :)) help me with my thesis about the intro and outline :)) thank you so much! god bless..
tama sana maging mas maganda ang atingkapaligiran….. tayo ay isang napakagandang bansa we must take care of our nature…… beacuse its our tanging yaman diba…. hhehheheh go! philippines go! we can make it……. GO! CARAMOAN…. sana makapunta ako isa sa mga ito……. i am so proud of the phil. hope it would still beautiful!!!!!!!!!!!!!!!!!!!!!!!!! !we will help each other to maintain our environment !!!!!!!!!!!!!!!!! sana lalo pang gumanda ng gumanda ang philippines……….wala talaga ako masabi……..hnd q talaga ikakahiya ito……i’m proud of it…..
:->ang ggnda tlga ng “wonders of the philipines”,wla tlgang cnv ang ibang country………philipines is the best tourist destination……….take care our wonders of the philipines…to maintain it beautiful………. 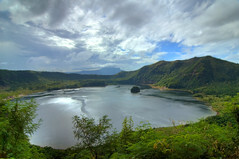 Philippine is the one of greatest tourist attraction,please do not destroy are nature so that we may become famous!!!!! bakit di kasama ang 2nd worlds most diverse mangrove forest ng pagbilao, quezon???? Philippines is a great tourist destinations. Wala Kong mAsabe Sa gaNdA nG pinas i lab philipines/.,’;.,.,;’/.,. Ang ganda talaga ng pilipinas sana alagaan niyo parin ang ating environment at mother nature para makasali tayo sa 7 wonders of world di ba social! joke ;ang pero kailangan talaga natin alagaan ang ating environment at mother nature ok ha!!!!!!! wag tayong magtapon kung saan saan. tnx 4 da info’s… i made my slideshow presentation regarding dis topic..tnx alot..! -it was reli a pleasant day as my fellings burst of happiness as i always imagine and read ,brows this site of yours..
indeed it is reli a fulflng truth that my country Philippines is beaiful one..
ill be visiting your site with my friends.. These informations could help boosts the tourism industry of the Philippines. I wonder why only the Underground River of Puerto Princesa the only one listed in the search for the wonders of the world. So vote for it. The votes could accommodate good results. this pics. are awesome!!! I AM PROUD TO BE A FILIPINO!!! MY COUNTRY IS JUST AWESOME!! you help a lot in educating people. moreso, your presentation is very accessible to students who is into reporting about the wonders of the world. thanks for the pics. coz our civics teacher told us that we need these pics. thank you for every picture and the 7 wonders for yhe philippines i hope are country will win. Thank you becuase it can help us in are project. nice its a beautiful country,,,try to go to the province of Caramuan theres a so many beautiful beaches, Go Phils. ABSOLUTELY PHILIPPINES IS A BEAUTIFUL COUNTRY IN TERMS OF PEOPLE, CULTURE, TRADITION, NATURE SO I’M VERY PROUD TO BE A FILIPINO.GODBLESS ALL FILIPINOS MABUHAY…. When I saw this pictures I just want to go Home!!!!!!! Makes me proud to be a Filipino.. I wish people will be able to see how rich our country is ..
i allways want to go everywher in the wonder places in other country.but nothings compare about my own home land pilipinas mahal kita!!!!!!!!!!!!!! your one of a kind. Philippines has a lot of beautiful tourist spots where one of the most well known is the Banaue Rice Terraces in the provinces of Apayao, Benguet, Mountain Province and Ifugao. Up to these days, the people there still plant rice and vegetables although not as much as the ancient people did before because younger generations did not find it very appealing to do farming. I like seeing the pictures of my country’s “wonders”. Keep up the good work, Gary! Wow! I didn’t know that Mayon Volcano was one of the seven wonders of philippines!!!!!!!!!!!!!!!!!!!!!!!!!!!!!!!!!!!!!!!!!!!!!!!!!!!!!!!!!!!!!!!!!!!!!!!!!!!!!!!!!!!!!!!!!!!!! rock ‘n roll mga repapipzzzzzzzzzzzz………. siga pala yung Mall of Asia! I grew up in the Philippines, and sadly, I have only been to a few places on this list. I”m hoping to go back in 2011 9for a wedding) and visit so many of the these sites! Thanks for featuring this lovely country! ang ganda talaga ng pilipinas . . . whew !!!! Ang ganda nilang lahat dahil sila ang 7 Wonders of the World, parang correct ang initype ko :D! I'm so proud of our country. Keep up the good work. ganda talaga ng seven wonders keep up your good work!!!!!!!!!!!!!!!!!!!!!!!!!!!!!!!!!! im proud to be pilipino……………………………………….. Excellent list. Planning to visit Philippines in winter. Your blog will certainly help me in fixing itinerary. Obviously there are many Philippine wonders that should have been included. The Mall of Asia is not one of them. Probably, it would be included in the 7 Man-Made Wonders of RP, what do you say? Anyway the survey might be confined to bloggers ONLY and I understand the limitations and awkwardness with which the current choices are included. What if the survey is targetted to Travel & Outdoors bloggers? That might make coherent choices. Nice review of an amazing, diverse and beautiful country. This is a goo dlist of places to visit in the Philippines, but there are really so many more to see. Located on the northern tip of the island of Palawan, El Nido is known for its distinctive limestone islands and inlets. El Nido consistantly scores high in surveys of top eco-tourist destinations in the world. Forbes magazine rated the wreck dives off the island of Coron as some one of the top 10 dive sites in the world. Archeological evidence of human habitation dating back 22,000 years has also been found in El Nido. WOW Philippines!!! !i'm proud to be a citizen of this country.and proud to be pinoy for life!! abusing our mother land and especially our mother nature………. Yeah, go f? ?k all the way, Philippines. grabe IM VERY PROUD tlaga sana gumanda pa ang Philippines…..WOW!!!! let’s take care of them, please? Those places mentioned above, only the MALL of ASIA i havent visited, come august 20, ill go MOA while spending a night in manila. Thanks for the advise ISSA, u gave me idea for exploring MOA though i hate manila traffic!!! I am very proud to be FILIPINO! dude, you need to go back to school and get educated……. you know there is such a thing called EDUCATION and that is what you need!!! I wonder maybe u can check this mall to be the largest in the world to open on 28 August 2008 in Dubai called DUBAI MALL situated in the BURJ DUBAI foot “the tallest building in the world in the making” that will complete next year. Never been to mall of asia, but it is indeed talk of the town whenever u arrive in manila for the first time or absent for years. AS what he said, surprising to some1, i am surprised, and surprised again with your reactions. Maybe be bcoz u did not absorb the writing, blinded with the topic of 7 wonders, dont worry maybe for the next year MOA will be deleted in the world history as the 3rd biggest mall, it will be last, or never be mentioned anymore. now ur happy? ., wOw . . proud to be pinoy. .
there all beautiful perhaps some of them are known to be man made. its so great 2 see we have a lot of place that are so wonderful..
puke ng ina naman yan!!! buko ng ari ko yan!!!! it is an ugly mall noh!!! I am approving to the others but in MOA I did not approve because it is only a mall!!! i like your blog….but i thick…mall of asia is not included in the list….there are many beautiful…. because mall of Asia is man made.that’s why its not included. Wow its really amazing the scene of Chocolate Hills in Bohol, specially when you in top of it.there’s a lot of beautiful tourist destination in Bohol, try to look on it….. its really great try to visit there its really so amazing. thank you for appreciating my country! but sorry for me I`ve never been, even one of them….. but I`m looking forward to see one of them.. I wish they would tear down all those other stupid six wonders and build Malls everywhere! Chocolate hill malls, underwater reef malls, underground river malls, rice terrace malls. phillipines is really great country lot of tourist spot is here come and visit my country you will love it…..but sorry to myself never been that seven wonders….anybody wants me a tiurist gude hahahaha….thank….i really love to see that wonderful places…plsssssssss. I’m pondering such a man made mall of Asia is included. Is it worth? wow, amazing…. mall of asia is the best! Thanks, Gary, for the mention and making the Philippines first on your list! Fantastic list. But I agree, how can there be a Mall included when there’s so much natural wonder in Manila. I mean, if it was Singapore, yah, your top 6 wonders would be malls, but not the Philippines. I don’t have a problem with the list except I would put El Nido or Pamilican Island ahead of Boracay. The Verde Island Passage also deserves at least an honorable mention. 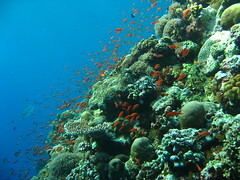 It is the center of the center of marine biodiversity in the world. Mall of Asia? It was a joke, right? thanks for the mention Gary, the everyone on the list deserves to be there because it was voted. I didn’t create the list. It was voted on by other bloggers.